Not every occasion calls for a full meal. Sometimes, you’re in between activities and just need to grab a quick bite before you’re on to the next thing. Other times, the appetizers look so, well…appetizing, that you can’t help but order two or three to satisfy your hunger (and curiosity). Luckily, Kansas City’s restaurants feature a bevy of delicious takes on both classic and unorthodox dishes, all to the benefit of hungry diners. 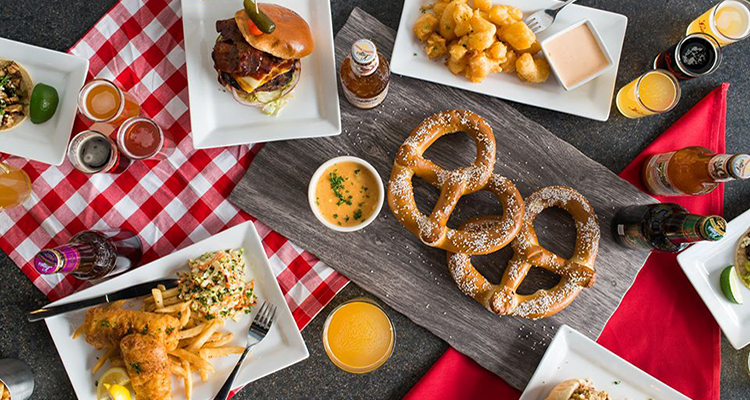 Pub fare from up north powers the dishes at Leinenkugel’s, the Wisconsin-based brewery’s flagship restaurant, located in the heart of the Power & Light District. 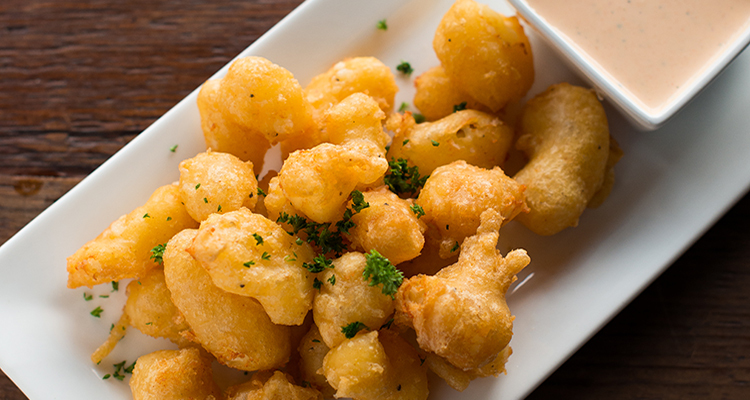 The Shareables menu features trendy comfort dishes like poutine, cheese curds and truffle fries, to name a few, making this a perfect place to fuel up during happy hour, before a night out or a KC Live! show. 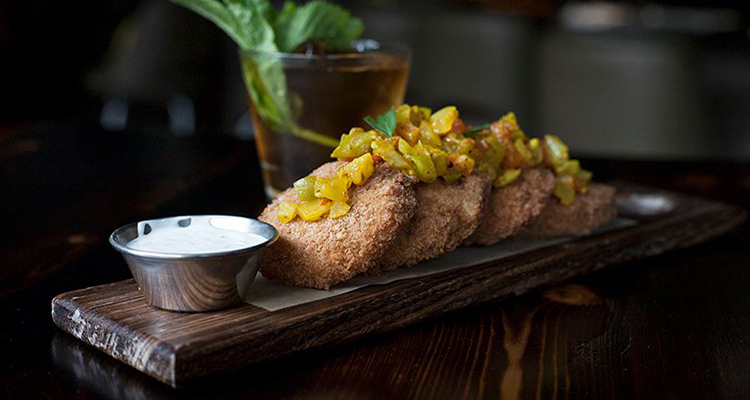 Travel along the KC Streetcar to the Crossroads Arts District for a drink and a bite at BLVD Tavern, a low-key, high-cool hangout touting a menu loaded with satisfying starters. Go all out by ordering the KFC—twice-fried chicken wings with amazing crunch, coated with gochujang (a spicy, savory Korean condiment) and served with Napa cabbage kimchi—or diversify your meal with fried calamari, scotch eggs and steak tartare. Authentic Italian isn’t hard to come by in Kansas City. If you’re spending time in The Northland, swing by Trezo Mare Ristorante, a local hotspot anchored in The Village at Briarcliff. 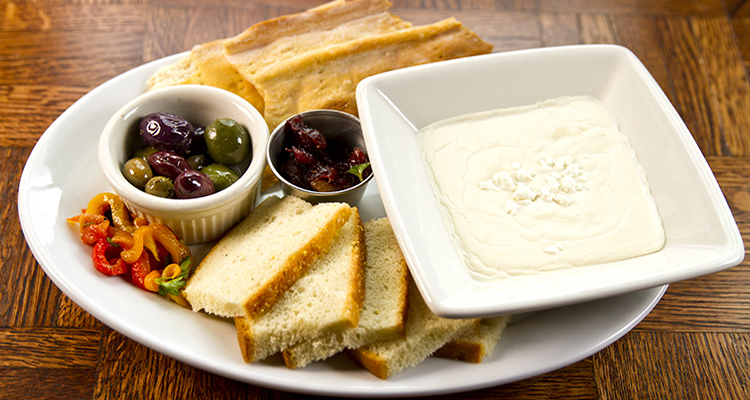 Delight in fresh-made appetizers such as prosciutto bruschetta, goat cheese fondue and crab cakes, all excellent for sharing with large groups, or that can be paired together for a great individual meal. Garozzo’s Ristorante is a bit of a legend in KC, due in part to its signature creation, Chicken Spiedini. But the starters here are worth just as much hype. 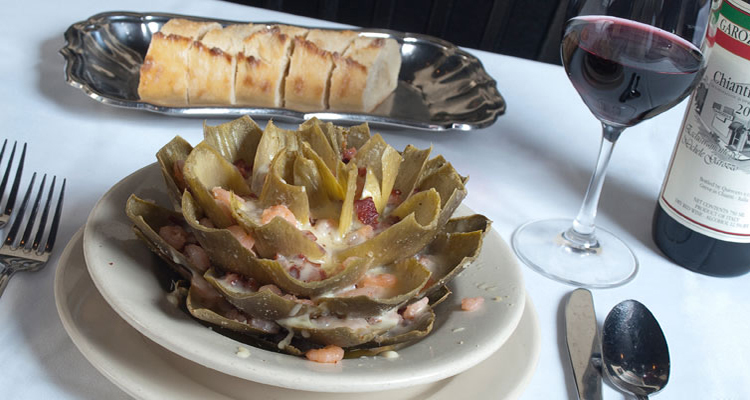 Take, for example, the stuffed artichoke, which comes with bread crumbs and is topped with garlic butter. Diners can order this dish Alla Siciliano style, which adds savory shrimp, prosciutto and melted provel cheese to the mix. Add an order of truffle ravioli and you’re in Italian heaven. 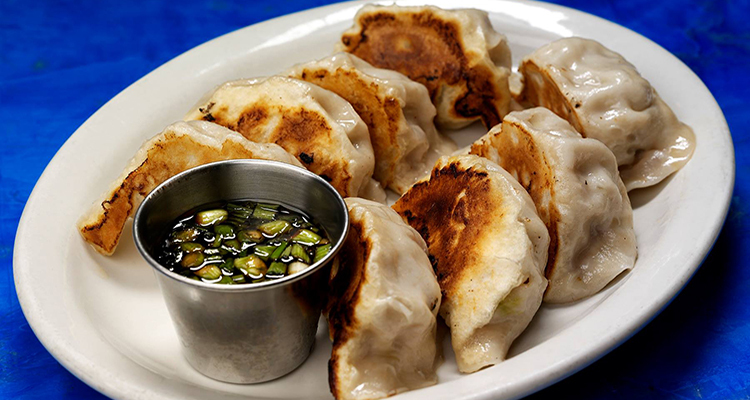 Along 39th Street West diners will find Blue Koi Noodles & Dumplings, a Midtown favorite known for its (you guessed it) wide variety of dumplings. Order them any way you’d like—boiled or pan-fried, veggie or meat—to experience a taste of North Chinese cuisine. Want something a little extra? 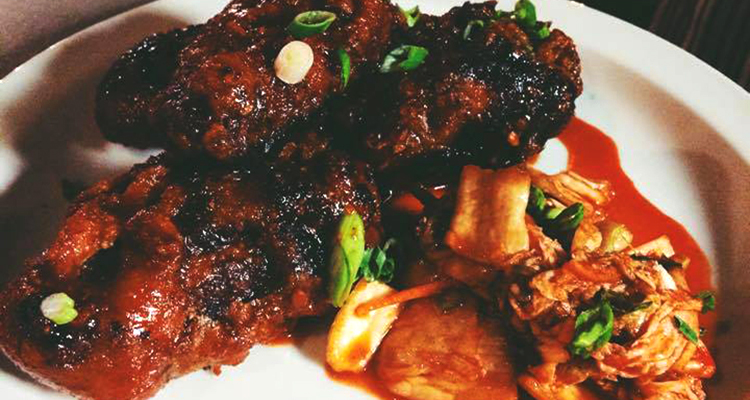 Toss in an order of Crispy Tofu with Spicy Awesome Sauce for a tofu taste worthy of this dishes name. The burgeoning South Plaza neighborhood boasts a number of new and established restaurants popular just south of Brush Creek. 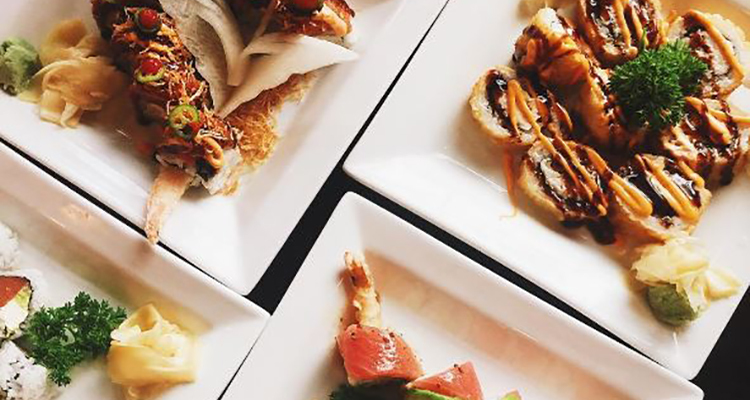 Prime Sushi offers fresh sushi and Japanese dishes in a sleek, casual setting. The menu features a diverse mix of hot and cold starters, including edamame in garlic butter, a Japanese burrito and spicy tuna tower, among others. Regardless of the time of day, there’s hardly a cooler hang than at Char Bar Smoked Meats & Amusements in Westport. In addition to its vast outdoor patio—complete with lawn games like bocce ball and croquet, to name a couple—the restaurant serves up great KC-style barbecue and killer appetizers. 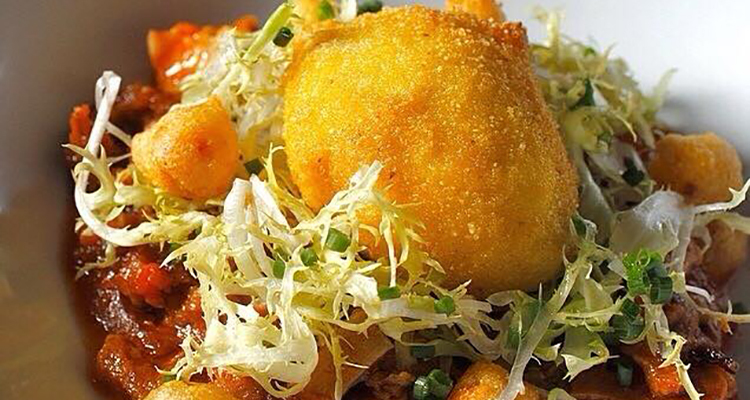 Try out the smoked duck gumbo or smoked chicken mac nuggets for innovative options. Vegetarians can treat themselves to meatless selections like fried green tomatoes and cheesy hushpuppies. 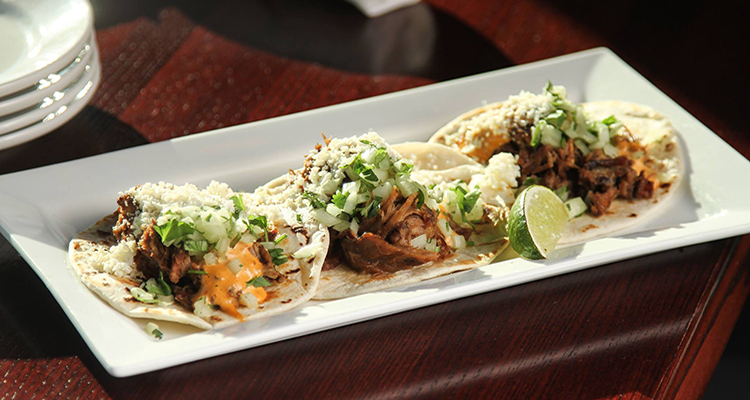 Known for a menu chockfull of diverse choices, Summit Grill & Bar in Waldo (and Lee’s Summit) is a happy hour hangout that keeps customers coming back for crowd-pleasing appetizers. Seared ahi tuna and street tacos filled with steak catch the eye while unique creations like pot roast nachos are can’t-misses. Not every occasion calls for a full-course meal. That in mind, hungry diners can still hit up restaurants known for high-end cuisine thanks to special bar menus and one-of-a-kind appetizers. Novel in Westside has made a name for itself with creative food, including starters such as the Crispy Egg, where an egg is cooked in water, poached, breaded and then fried. That’s not it, though. The egg is served atop tender tripe and bacon hushpuppies for a wholly unheard of (yet unimaginably delicious) appetizer. Try out the duck neck dumplings as well for another unique dish. Helmed by Megan and Colby Garrelts, Bluestem in Westport has earned its fair share of renown: Colby is a James Beard Award winner for the Midwest region while Megan a James Beard Award semifinalist as a pastry chef, together forming a formidable kitchen duo. While the dinner menu features meals by course, check out the bar for some hard-to-beat small plates, like the Spanish-style meatballs, hand pulled mozzarella and cavatelli bruciato. 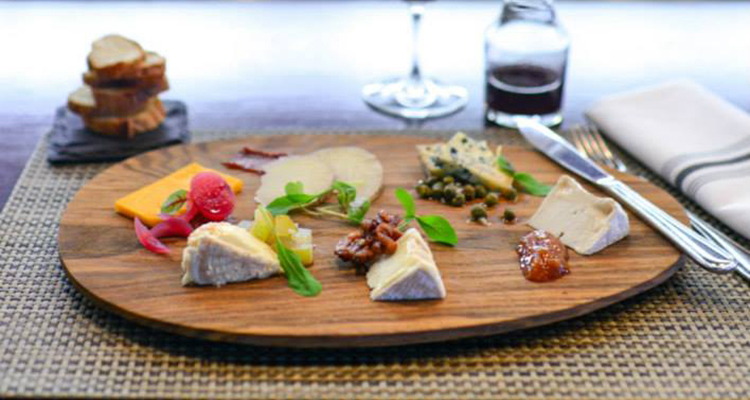 Or, go all out with a selection of six different cheeses.